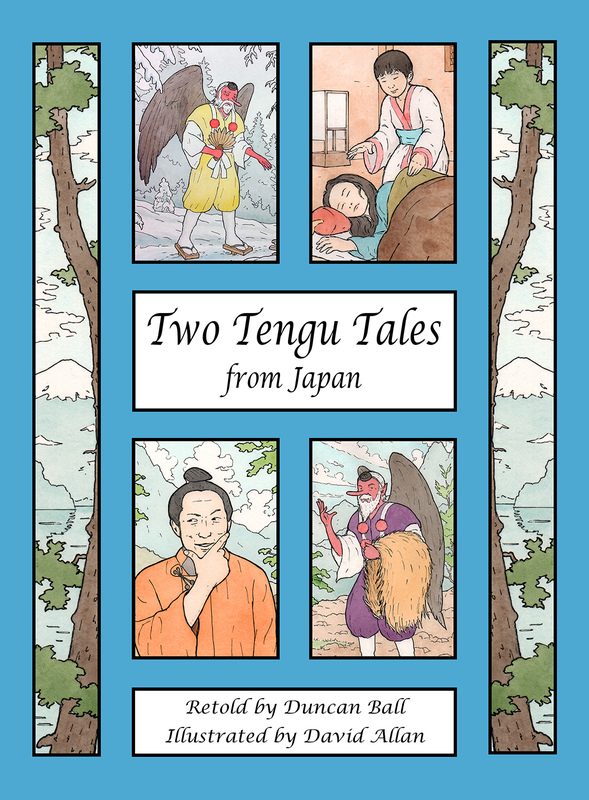 We have great Teachers’ Notes for all our folktale collections, and have just put up a set for Two Tengu Tales from Japan, which features a great article by Duncan Ball, illustrated with his photos, about his encounters with the folklore of Japan, especially the tengu. You can down load it for free on the Teachers’ Notes page. Note: all copyright in the notes remains with Christmas Press, and all copyright in the article and photos remains with Duncan Ball. Christmas Press Illustrator Panel at Booked In festival! Christmas Press had a big presence at the recent Booked In children’s literature festival in Armidale, NSW. Our latest book, Duncan Ball and David Allan’s gorgeous Two Tengu Tales from Japan, was launched. As well, two of our authors–Sophie Masson, author of Two Trickster Tales from Russia, and John Heffernan, whose book with us, Two Tales from Ancient Mesopotamia, is coming out next year–were on a panel on retelling traditional tales, chaired by Tom Penrose from the New England Writers’ Centre. And no less than four of our illustrators were on an Illustrator Panel in the afternoon, discussing the illustration life: chair Trish Donald(who had illustrations in Once Upon A Christmas); David Allan(illustrator of Tricksters, Twins and Tengu) Fiona McDonald(illustrator of Selkies and Fearsome Fairy Tales) and Kate Durack(who is illustrating John Heffernan’s book of Mesopotamian tales). It was an exciting and interesting time, and the audience thoroughly enjoyed it! Here are a few photos from the illustrator panel. Today is the day we are officially launching Duncan Ball and David Allan’s gorgeous book, Two Tengu Tales from Japan. The launch is being held at the Armidale and Dumaresq Library, at 4pm. If you’re a local, or visiting Armidale, do pop in and celebrate with us! Lovely review of Two Fearsome Fairy Tales from France! The language is fluent and vividly descriptive with storytelling skill which propels the stories forward with suspense and mystery towards a satisfying conclusion. While Beauty and the Beast reveals a beast who is genuinely good and ultimately handsome, Bluebeard is ironically about an intriguing man who is truly a beast at heart. Both stories are full of tantalising elements and memorable scenes. Lovely illustrations by Fiona McDonald capture the heart of each fairytale sometimes in rich colour and sometimes in black and white sketches.